Mix Shredded Potato, Olive Oil, and Cheese, press into a muffin pan and bake at 210'C for about 15 minutes until a little crispy. 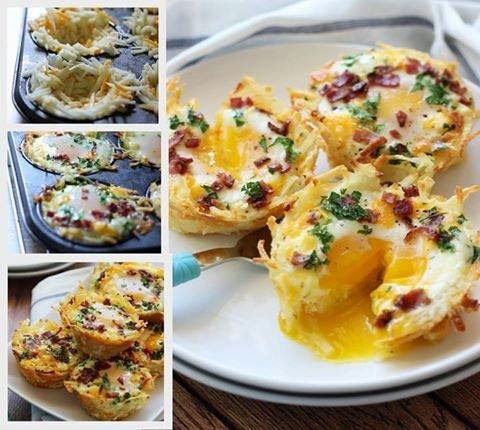 Then crack an egg into each "nest", add Bacon and Cheese. Then bake for another 15 minutes - Done! !